Songs and tales from a town on the edge of the Bay. A mad rabble of sound from trumpets to congas, beatboxing to guzheng and everything in-between. Join us for a great music show featuring local performers in this mini festival of rock, jazz, folk and choral sounds where a town tells its tales and shares its secrets. 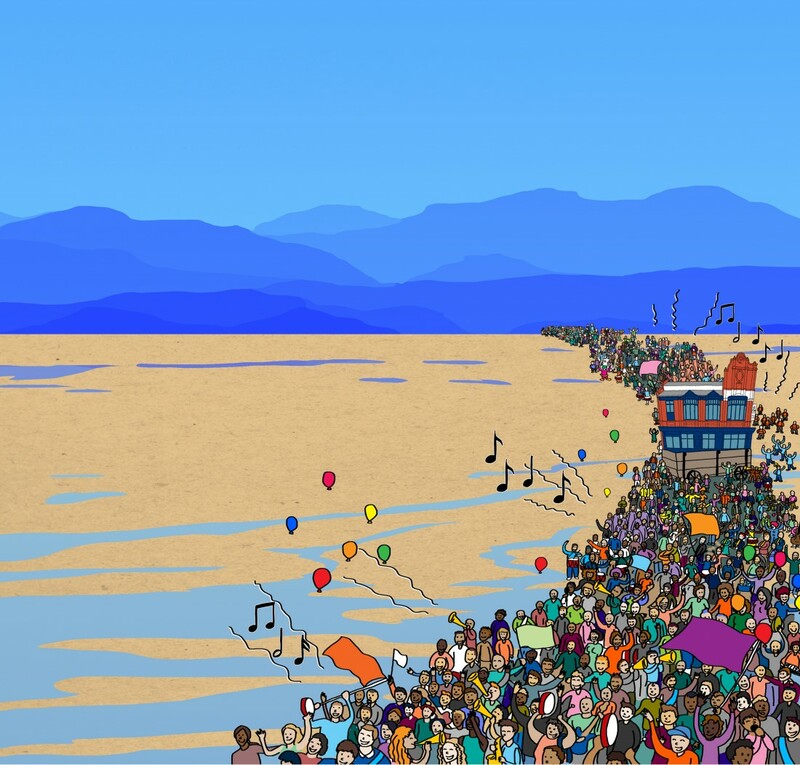 For 20 years, More Music has worked in Morecambe with thousands of people, creating songs and music. Part gig, part celebration, Frontierland is the show that will bring it all together in spectacular fashion. Commissioned by More Music and Live at LICA.